Djibouti was voting on Friday in parliamentary polls expected to hand a fresh victory to the ruling party of President Ismael Omar Guelleh in an election largely boycotted by the opposition. Polling began at 6:30 am (0330 GMT) among 194,000 voters, who will choose 65 deputies. The tiny Horn of Africa nation, a former French colony until 1977, has been ruled by Guelleh since 1999. He was re-elected as president in 2016, with 86.88 percent of the vote. Guelleh's UMP party is expected to ride to victory over a badly-divided opposition. Two parties -- MRD and RADDE and a faction of a third party, ARD -- are refusing to put forward any candidates, saying the elections are not fair or transparent. 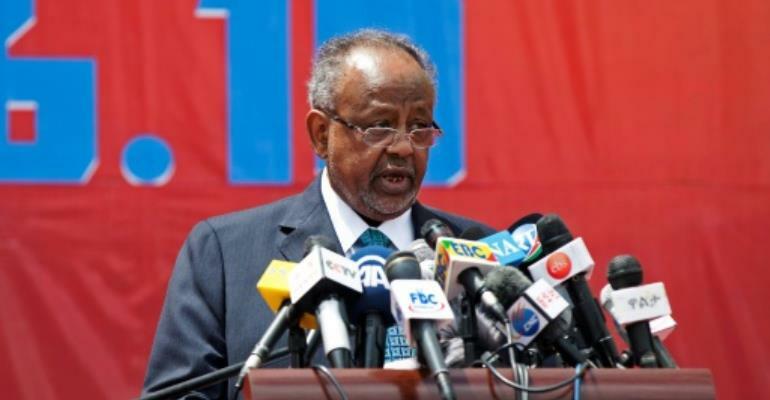 Zakaria Abdillahi, president of the Djibouti League of Human Rights and a former opposition legislator, said the country's electoral commission "is not independent -- its chairman is the prime minister's legal advisor." The law stipulates that 25 percent of seats in these legislative elections be attributed to women, compared to 10 percent in the outcoming assembly.